Samco (formerly called Samruddhi Tradecom India Limited) is one of the leading discount brokers in India with the membership of BSE, NSE, MCX-SX, MCX and NCDEX. Furthermore, it is known to be one of the cheapest stock brokers charging a flat amount as brokerage (more on that later). 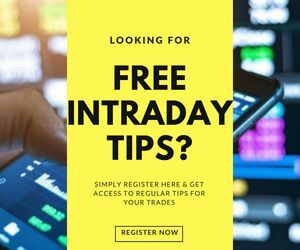 Samco is known to be a suitable stock broker for beginners since it provides an exhaustive repository of basic and intermediate tutorials on trading and investing. At the same time, with low brokerage charges, this discount broker leaves a low chance of risk for beginners as compared to other stockbrokers. 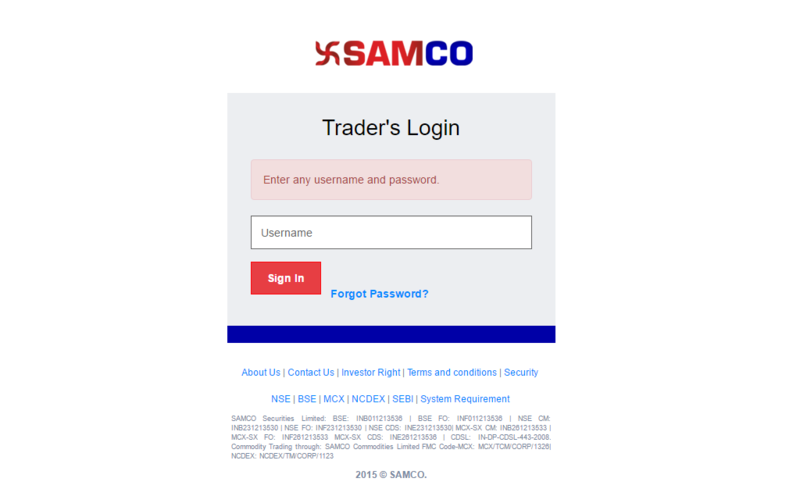 Samco Web 5 is a responsive web trading platform that can be accessed directly through a browser and does not need any installs or downloads. Clients can just enter valid username and password and start trading from anywhere. 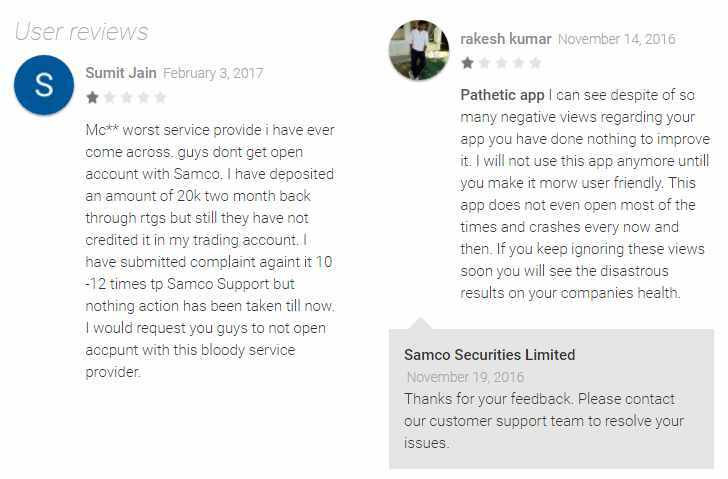 Samco seems to have a quantitative approach when it comes to trading platforms. Although they have been able to provide multiple trading platforms, quality wise there are quite a few compromises that can be observed. The Bigger concern is, there are minimal updates done on these trading platforms. This is one of the latest additions in the list of the trading platforms the discount broker offers to its clients. The application has been acknowledged well, at least in the initial phase and is claimed to be based on a proprietary technology called Giga Trading Engine. The overall user experience of the application is pretty smooth, however, the number of features can still be increased. App update frequency cycle has no regularity with the last update was done in July 2016. To give you a perspective, generally, mobile apps in trading space get updated in a frequency range of 3-5 weeks. App crashes and hangs most of the times, especially when the market has high traffic. Below par design with the sub-optimal user experience. The thing with Samco when it comes to customer service is that they are very salesy in their mode of discussion. However, customer service is primarily aimed at helping out existing client base when they get stuck in any specific aspect. Train its customer executives team and make them skilful enough to deal with clients coming with different types of queries. Quicken up the turnaround time for the resolution provided to the client. Once these basic areas get figured out by this discount broker, then the outlook of clients may change as well. For payouts, the broker requires the clients to either use the back-office or submit a payout request through the trading platforms. The funds transfer actually happen in 2-3 days (although it is told it happens the same day). Use this Samco Brokerage Calculator for complete charges and your profit. Use this exhaustive Samco Margin Calculator for further reference. By paying ₹1000 on a yearly basis, you can avail this service where you can be entitled to get up to 4 times exposure or leverage in Equity Delivery Segment. The product offers leverage on more than 300 stocks listed on the stock market. Further, it really depends on the kind of stock you are looking to purchase and then the corresponding exposure value is offered to you. The only catch in this plan is that you are required to pay an interest of 0.05% per day on the outstanding amount of delay payment. So make sure you pay back the money quickly to avoid any of such charges. You need to understand one thing clear before using such plans and that is, although it certainly enhances the buying power of the client it also exposes the capital to much high risk. Unless you understand the way it works, what are its implications etc, you are advised not to use the product. 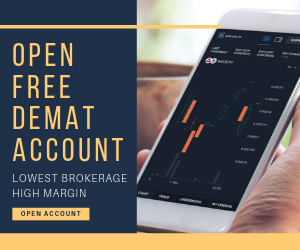 Suitable for Intraday traders, this is another leverage based product where clients can get access to margin against their shares. With this margin value, clients can trade at intraday level. Clients are supposed to pledge their holdings in the demat account and based on the value of the holdings, a corresponding value is opened up for the client for intraday trading on the stock market. The plan costs ₹1000 on a yearly basis to the clients of the stockbroker with an additional charge of ₹60 for each scrip that gets pledged or unpledged. In this plan, clients can get a margin against 801 stocks and ETFs. With this product, you can avail margins with ZERO cash balance in your trading account. Thus, it is generally suitable for Intraday and positional traders. 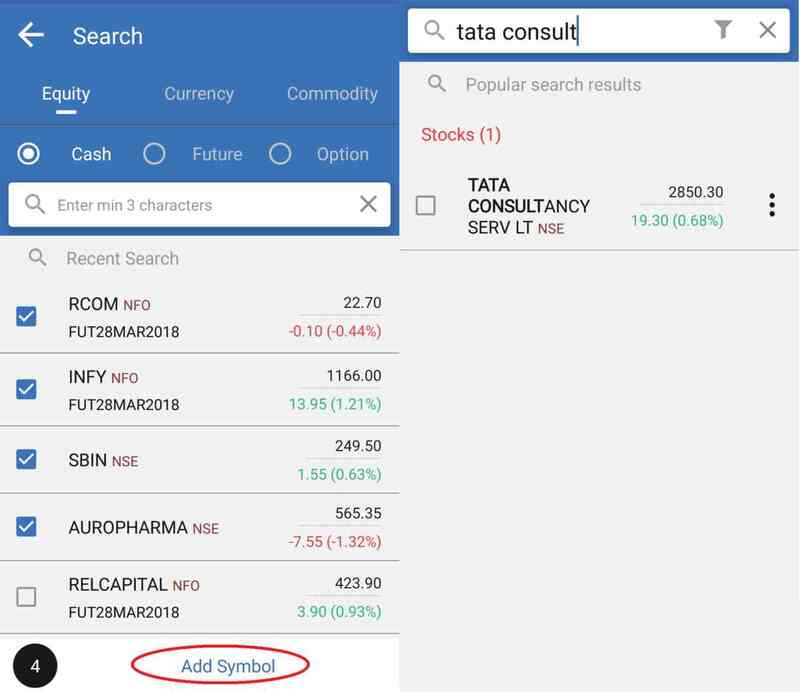 The concept of this product is that depending on the value of your holdings in your demat account, a corresponding amount will be opened up by the broker for you to trade in other segments. The way it works is based on your holdings value. Let’s say the value of your holdings post haircut is ₹10,00,000, then you can get to trade up to ₹10,00,000 across multiple segments ONCE you pledge your holdings with Samco. The service is available across 820 stocks and ETFs for the clients of the broker. No monthly or yearly fixed price plans for heavy traders as compared to other recent discount brokers pricing plans. Security concerns seen in the trading platforms. “Samco started well but in the last 6-8 months, there have been a lot of concerns raised by its client base. These concerns are in the category of low performing trading platforms, below quality customer service, hidden charges and so on. 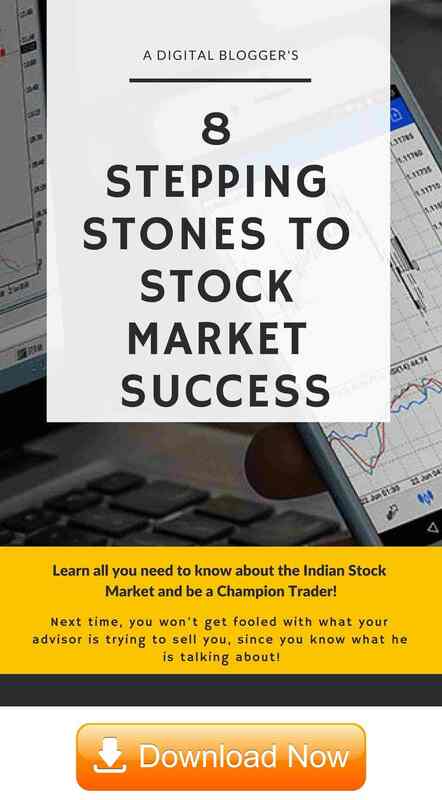 How to open a Demat and Trading account? Enter Your Details below and get a Free call back right away to guide you more about the broker. Once you are done with this, your account gets opened within 2-3 business days. The details can be verified from the corresponding entity websites. Samco is a discount stockbroker from the house of Samruddhi Tradecom India Limited. So from the background perspective, the broker looks safe. However, there have been quite a few complaints raised by the clients recently. The biggest concern is the kind of exposure they offer to their clients. Well, this feature has its own positives and negatives. And thus, the inclination towards risk becomes a tad bigger. What is the minimum amount to maintain with Samco? There is no such condition set up by the broker and you don’t need to maintain a minimum balance in your trading account with the broker. But you are required to pay ₹25,000 as the minimum trading account balance when you open the account with the broker. What happens if the client fails to pay off the margin call while using the leveraged product – CashPlus? In situations when the client is not able to pay off the margin call within the stipulated time, the open positions of the client are squared off and the accounts are settled accordingly post square-off. Is the leverage product CashPlus available for derivatives trading? No, it is only available in the Equities segment. How can I close my account with Samco? You need to follow a few basic steps if you are looking to close your demat account with Samco. Please follow this link for complete details. 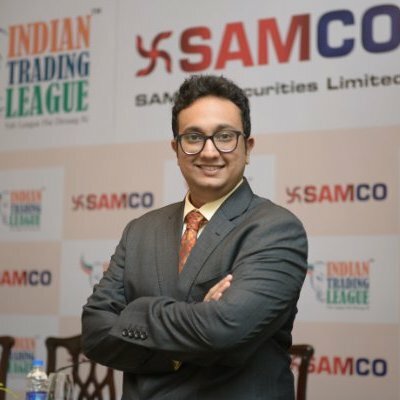 Is Samco really offering the lowest brokerage charges in India? Samco, by no means, is offering the lowest brokerage charges in India. In fact, if you look closely, it is even expensive than Zerodha or 5Paisa. There a lot of other stockbrokers that offer cheaper brokerage services. What are the account opening Charges? There are no account opening charges but the broker charges you ₹400 for annual maintenance of your demat account. 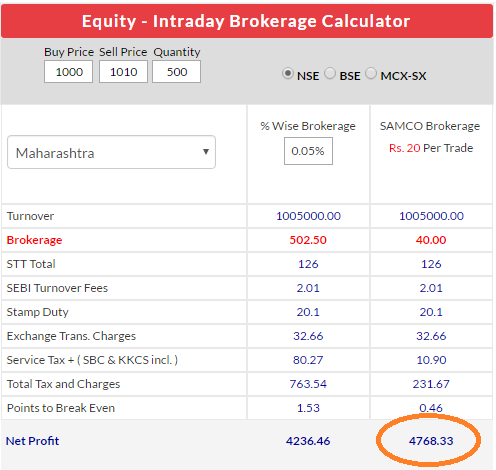 What are the brokerage charges with Samco? For Equity Intraday or Delivery, the maximum brokerage you are charged is ₹20 per executed order. They don’t have any fixed brokerage plans for their clients. Is Samco the Worst? Is Samco the Worst - Hindi? Samco is good in terms of customer support and charges but….. wait…. 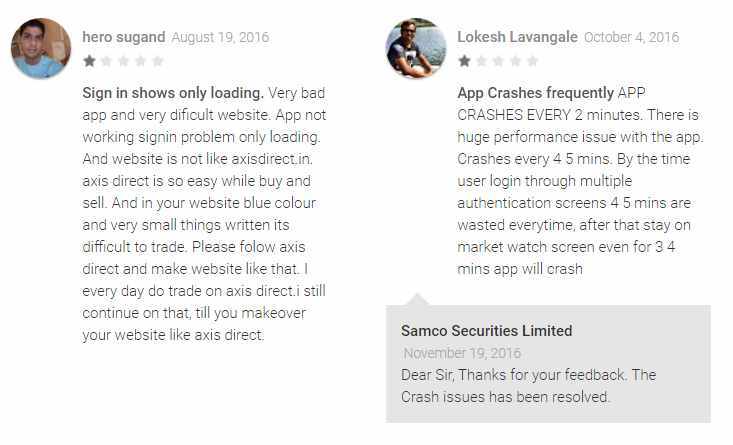 Security of your data can be at great risk as the back office “samco star” website is not secured.anyone can attack data and may having malware and viruses.It is having protocol “http” and not https”. We are not expecting this from the company like samco.